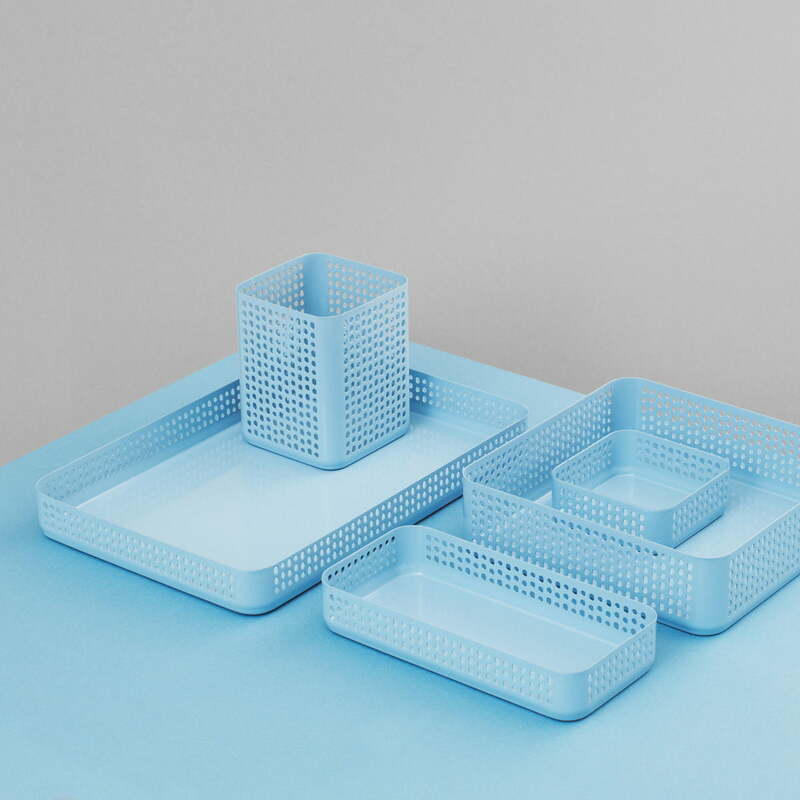 Thanks to the powder-coating the Organizer can be used universally : no matter whether in the kitchen for oils, fruit and snacks, on the desk for desk accessories or in the bathroom, where perfumes, creams and other utensils can be stylishly arranged. The Nic Nac Organizer 4 is perfect for everything loose without a fixed place on the desk, in the kitchen or in the hallway. 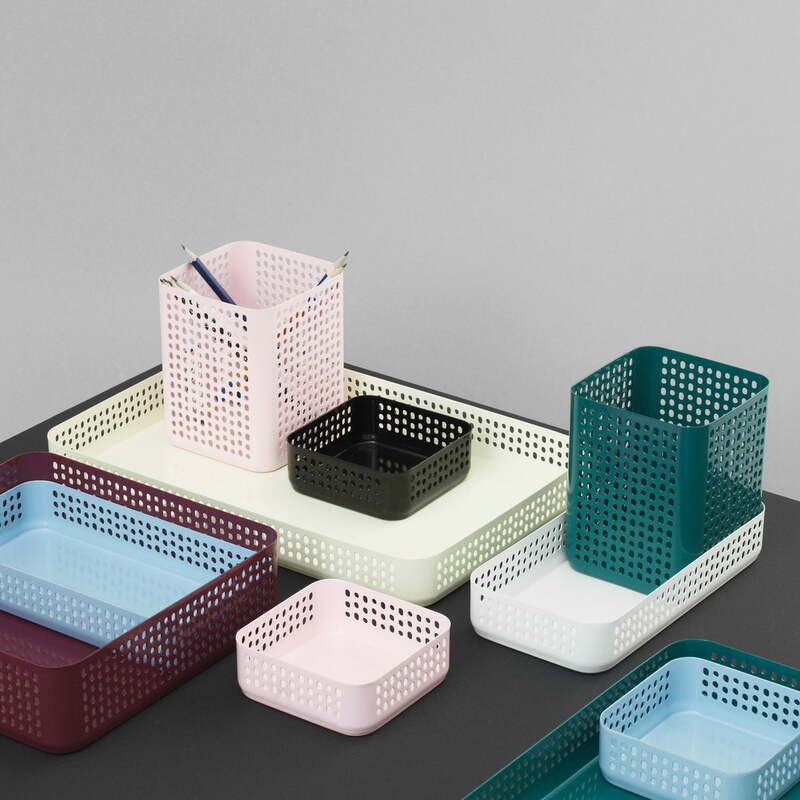 The storage basket is part of the versatile organizer collection by Normann Copenhagen. 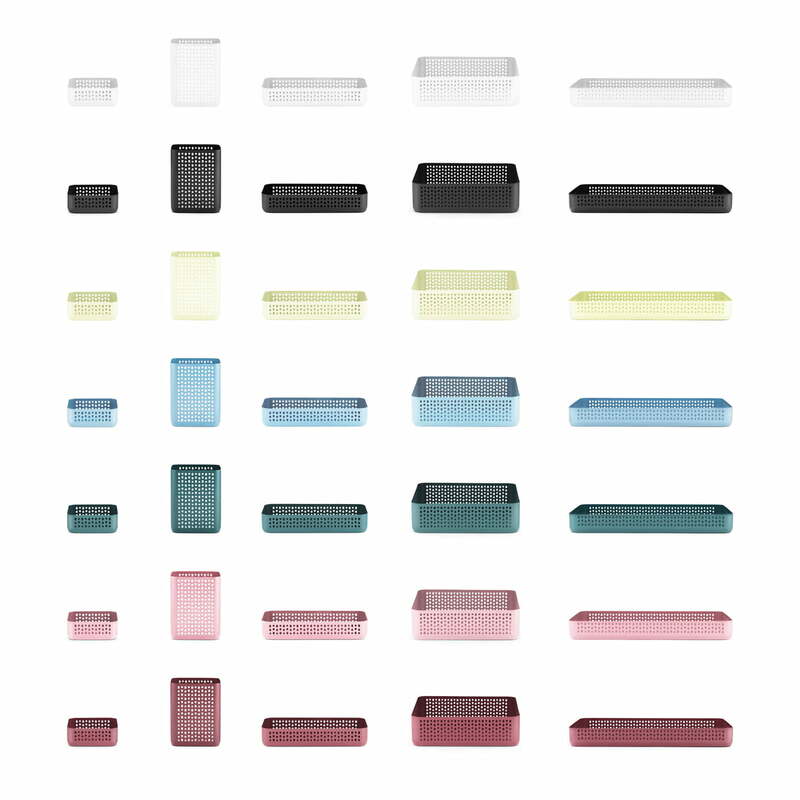 The shelves are available in different colours and sizes, which all fit perfectly and can be individually combined: for office supplies, keys and Make-Up, snacks and fruit and vegetables all of it can be sorted in the Normann Copenhagen containers. 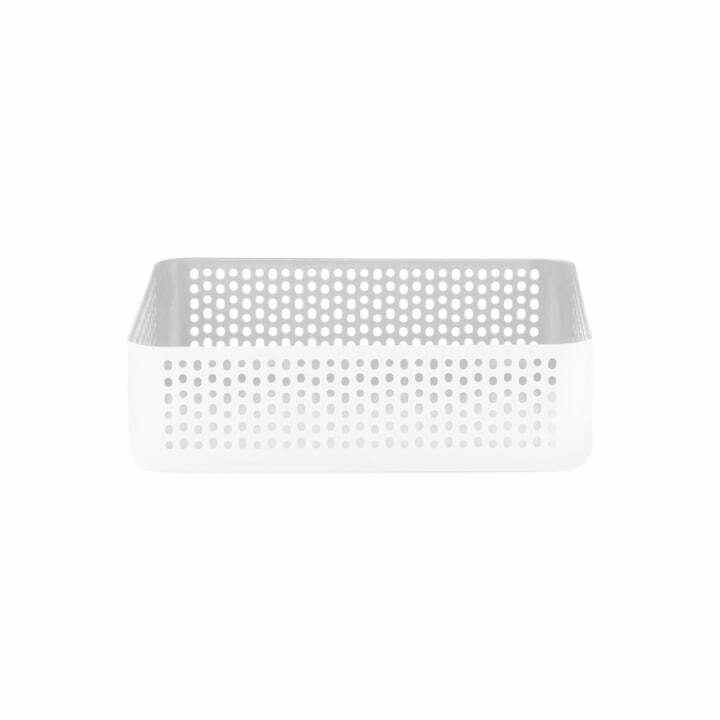 Single image of the Nic Nac Organizer 22.5 x 22.5 x 6h cm by Nicholai Wiig Hansen for Normann Copenhagen made from powder coated perforated steel in white. 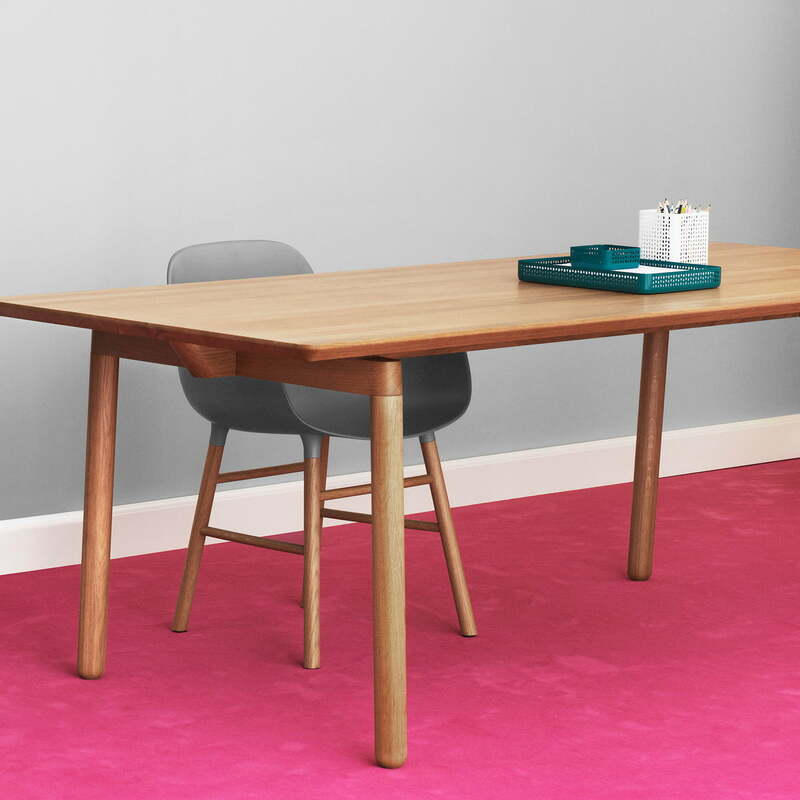 Single image of the Nic Nac Organizer 22.5 x 22.5 x h6 by Normann Copenhagen. 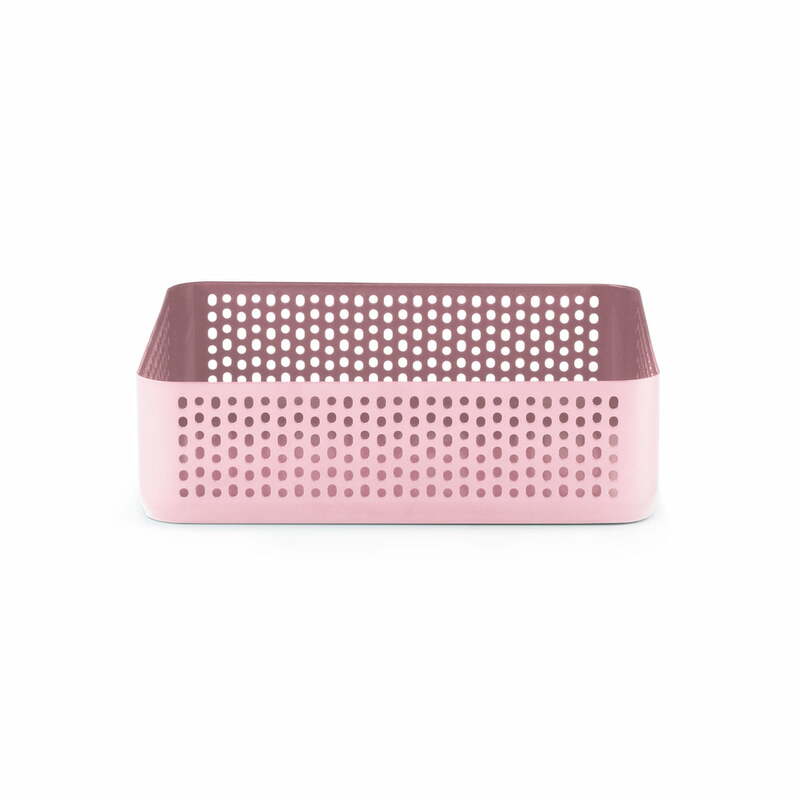 The NIC NAC Organizer 22,5 x 22,5 cm consists of powder-coated steel in pink. 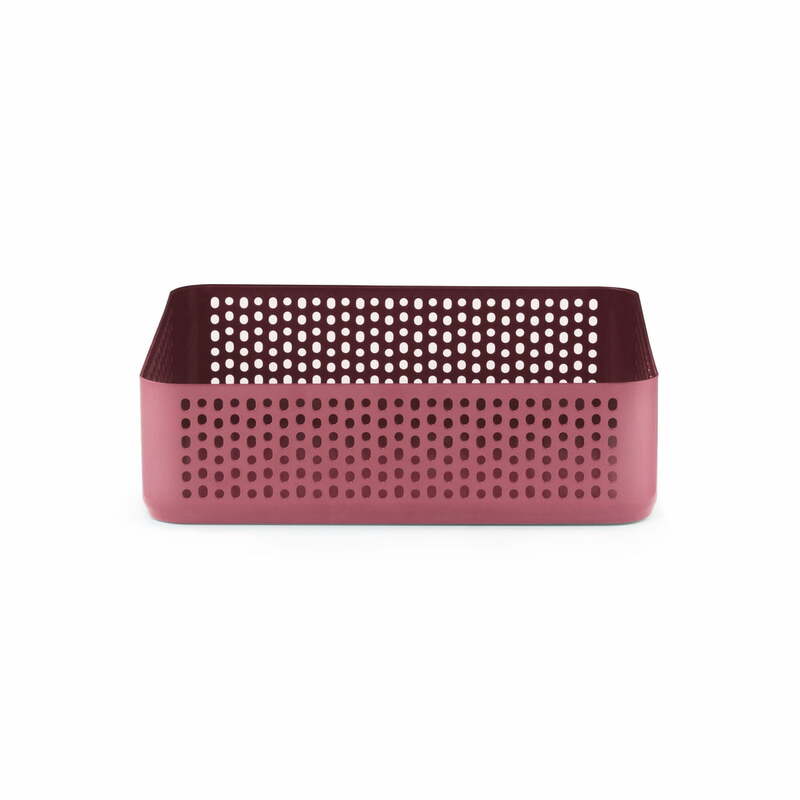 Single image of the Nic Nac Organizer 22.5 x 22.5 x 6h cm by Nicholai Wiig Hansen for Normann Copenhagen made from powder coated perforated steel in dark red.